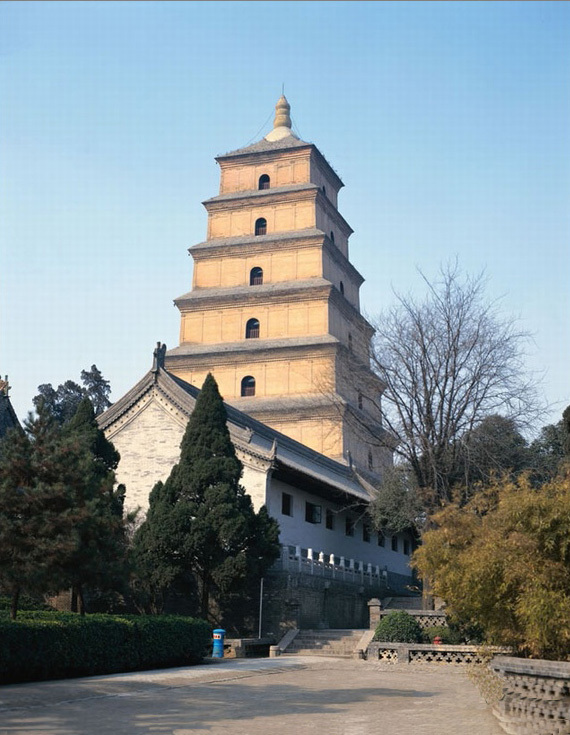 The Big Wild Goose Pagoda was built for the safekeeping of the scriptures and Buddhas statues brought back by the famous monk Xuanzang of the Tang Dynasty from india. 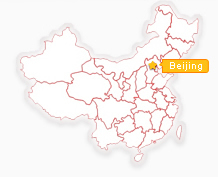 It was built in the Great Cien Monastery of the Tang Dynasty in 652 A.D. Composing of 7 storeys 64 meters in height, it is of high architectural art. Above the stone doors at the bottom of the tower, there remain the exquisite line-etched pictures from the Tang Dynasty. The bottom of the pagoda resembles a wild goose, hence the name, the Big Wild Goose Pagoda. This pagoda is the symbol of Xian. Xuanzang was a famous monk in the Tang Dynasty. He was known as Monk Tang after his conversion. He was a prominent Buddhist, traveler, translator and one of the founders of Wei-shih School. Disturbed by the division of Buddhism at home, he traveled alone in 627A.D. from Changan (Xian) to india to study Buddhism. After 17 years of untold hardships and a journey of 50,000 kilometers, he returned from india with piles of Buddhist scriptures. He subsequently spent 12 years at the Great Cien Monastery translating the scriptures. Xuanzang is a household name in China. The famous novel A Journey to the West is based on his true story.